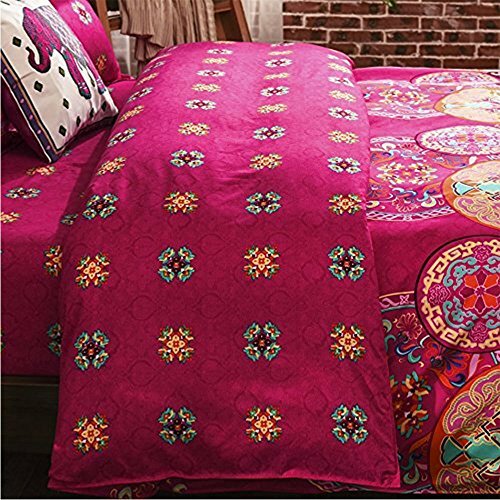 We think you’re going to love our Duvet Cover Set as much as we do! But in case you don’t, you are covered by our 90 day, no questions asked, money back guarantee. We want our customers to be 100% happy. Note:duvet cover is with zipper ,can put your comforter /quilt/duvet inside the duvet cover. Color Name:Purple Made from Microfiber, our bedding set is woven from exceptionally fine superior yarn to create a magnificently soft textile product. 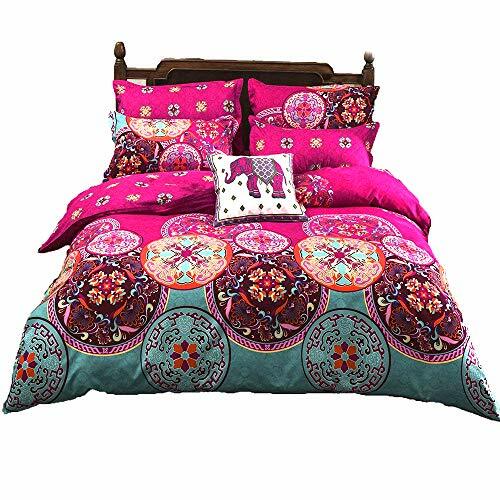 You’ll find your desire for comfort surpassed by the unparalleled softness and luxurious thickness of our beautiful bedding set.Duvet cover is with hidden zipper ,can put your comforter /quilt/duvet inside it .? Kindly reminder?1,Please make sure the size is fit for your bed or not according my describe measurement first before placing order .? 2,Due to pillow shams fabric cuts from full comforter/duvet cover fabric randomly.so maybe is not same with the picture ,? 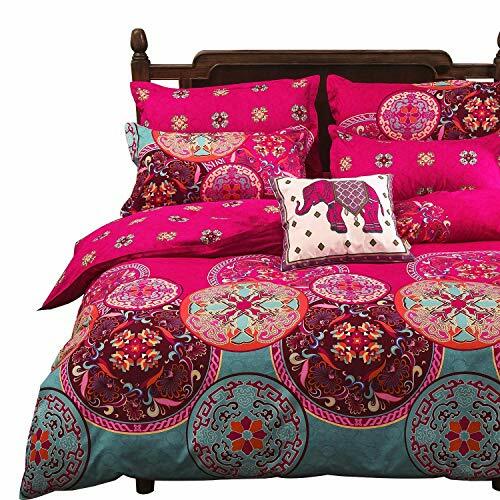 a little different pattern,but always same style with whole bedding sets.? 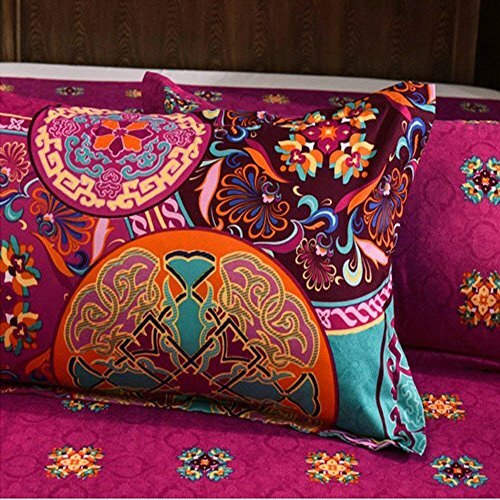 3,On some item picture show,the comforter/duvet cover and pillow sham include decorative hem,actually,no? including,that’s not same with the picture.? 4,The attached pictures are supplied by the manufacturer for the demonstration only.Due to the different of color effect? between your digital devices and the real world,the actual color depth of the product might look slightly different from? what pictured above.? 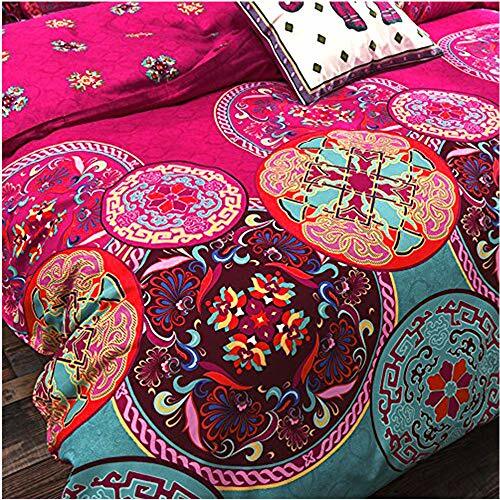 5,All the bedding set have two side ,The front side is A side ,the back side is B side ,A side same as photo ,B side is same but small pattern .please note it ,thanks . ?